If the digits 007 seem as random as a Social Security Number, think again. According to Philip Gardiner, author of “The Bond Code: The Dark World of Ian Fleming and James Bond,” many of the names and symbols that pop up throughout the Bond literary and cinematic universe are, in fact, secret shoutouts to Fleming’s occult leanings. The U.K.-based Gardiner insists the designation 007 refers to John Dee — a 16th century magician, occultist and spy who signed his letters with the three-digit moniker. In researching his book, he found that Fleming was influenced by such dark side figures as British occultist Aleister Crowley and astrologer and psychic Sybil Leek. “Goldfinger,” for instance, is an alchemy allusion as well as a Sufi term used for the divine ratio or golden mean — a ratio seen in nature that artists such as Leonardo Da Vinci included in their work. Thanks to another Sony movie, everyone now knows that Da Vinci dabbled with mysticism and secret societies. As for “Solace,” Gardiner says there seemed to be something missing beyond the occult trappings. Every time there is a new Bond film produced, the same old Bond documentaries are played on our TV screens. Our book will introduce not just new material, but radically reappraise everything we thought we knew about James Bond. The words and concepts may sound strange to the reader, such as alchemy and gnosis, but in this book we will reveal their truths in a simple and step by step approach. In fact, the codes within will even make people radically reappraise books such as the Da Vinci Code. My own journey into the hidden and coded world of Ian Fleming began one winters night whilst watching Live and Let Die. There was a surge of interest for all things James Bond and so, almost every night there was one Bond film or another. I had just finished writing The Ark, The Shroud and Mary and my mind was full of the world of the esoteric, alchemy and psychology. Live and Let Die struck me almost immediately as being a very strange film. Any Bond fan will know that the film involves many references indirectly and directly to the world of the occult — in this instance voodoo. For me at that particular time in my life I was struck by the strangeness of that fact. You see, I had watched all the Bond films many times, having loved them from my childhood, and I had never before considered why Ian Fleming should delve into the dark world of voodoo. Now, having a deeper understanding of ancient psychological methods we know as gnosis, alchemy and a great many other terms, I had to sit down and re-consider things. That was nearly two years ago now and in that time I have read every Bond novel; searched out every scrap of writing produced by Ian Fleming; researched his background, associations, friends, military history, book collections and even cross-referenced his relatives. What I discovered was to me, simply amazing. I had never considered that Ian Fleming was writing anything other than a simple spy thriller. I had never thought for one moment that the adventurous tales of a fictional British spy would lead me into not just the dark nature of mankind, but the dark world of intrigue he developed and fostered around him. James Bond became famous in the world at a time when the real British intelligence service was a shambles. SIS (also known as MI6), the Secret Intelligence Service of the United Kingdom was being toyed with by the Soviet KGB to such an extent that I often have visions of them laughing in the Kremlin. Britain was bankrupted after the Second World War and struggling to maintain an Empire, which was crumbling around her. It worked hard at trying to rebuild physically and emotionally along with other European countries. The USSR was a gloomy threat to the stability of the world, and so Britain, along with other nations such as the USA, decided the threat of communism was too great to ignore. And so, they despatched numerous agents, both home-grown and imported from Balkan countries, into the outlying Russian occupied countries. 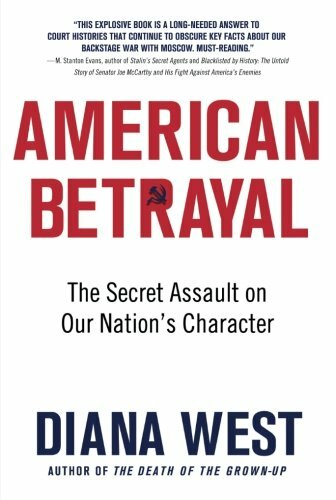 All the time, the KGB were one step ahead, with deeply entrenched double agents of their own within the heart of Western spy networks. Most of this was hidden from the ordinary public, but it did occasionally surface and hit the mass media, resulting in several scandals such as those surrounding Kim Phillby and of course the infamous McCarthy hounding of the so-called communists in the United States. In short, the public needed reassurance that yet another war was not going to break out and that our glorious leaders had things under control. This kind of assurance only comes from very good propaganda and when Ian Fleming created Bond and Kennedy in the States claimed to have “liked it” a beautiful synergy was created — a super-spy to save the world who was of course British, but needed the help of the Americans on several occasions. During his youth, Ian Fleming was sent to “special” schools in-order to overcome his issues — issues created because of a domineering mother, a dead father and a successful elder brother. In fact we shall find that Fleming simply fooled everyone, including the doctors. Ian Fleming explicitly said that Bond was Manichean — a concept perfectly in-line with the supposed secrets of certain societies to which Fleming was associated as we shall reveal. These are the very same secrets held sacred by secret societies throughout time. Relatively unknown to the wider world, Ian Fleming actually translated a lecture given by psychoanalyst Carl Jung on the alchemist, physician and magician, Paracelsus, and we have copies of this transcript in Fleming’s own type and handwriting. which backs up our statements. Within the books there is the secret of the art of alchemy at play and along with yet more patterns within the novels, reveals Fleming’s understanding of the concepts. We will show how Ian Fleming associated with or was influenced by mystics and spiritually inclined individuals, which reveal his inner and hidden thoughts. We will reveal how the number 007 has a sacred numerological code. We will also reveal that the other number given to Bond, 7777, by Ian Fleming also has a numerological meaning. Other numerological codes exist such as Magic 44. We will even show how he named his own retreat, Goldeneye, after certain occult terms. The location was known as Oracabessa and this too has occult references. Unravelling The Bond Code we will look into the etymology of the very names and words used. We will show how the Bond books and films are modern day fairy tales working in the same way as the medieval tales of the Holy Grail or Robin Hood and which contain gnostic codes picked up and understood by Ian Fleming. In short, Fleming lived in a fantasy world of his own making in-order to escape his inner turmoil — something, which lead him into his own death through smoking 70 cigarettes a day and drinking copious amounts of alcohol. This fantasy world led him into the land of the occult and gnostic thought. He created his fantasy alter-ego as a great alchemical work to fulfil his own tumultuous and chaotic mind, just as many before have done. But he left behind a set of clues and codes for us to decipher — just as our medieval friends did hundreds of years ago and linked with his extensive knowledge of ciphers and codes from his wartime experiences he knitted the two worlds together into something of profound beauty. Saw the new Bond movie tonight and found it to be quite odd – no Q, no new gadgets, no new invisible car… Almost nothing really the other Bond movies had, other then shooting, explosions, hot girls, and M.
The storyline lacking everything but action, and guiding the viewer along wondering just what the hell is going on. Sadly it seems this series of movies has really declined. The last bond film I liked was Goldeneye.